Scarborough Apartment Surge Flunks the Sniff Test | Look Out Scarborough! Well, folks, it happened again. Just over a week ago the Town Council gave first – and final – approval to an action that will allow the construction of about 850 new apartment units in Scarborough. So much for informed decision-making. So much for transparency and public input. It all happened very quickly and relatively quietly. Which is the way the majority of Council members apparently wanted it to happen. In the last blog, we focused much of the attention on the shortcomings of the process of evaluating this astounding increase in the number of apartments in town. All we wanted was a fair, realistic and well-documented analysis of the proposed apartment developments. From a purely financial perspective, the basic question is really a simple one: how much new tax revenue will the proposed new apartments generate and how does that compare to the additional expenses that will be associated with them (additional costs of the schools, public safety, etc.)? If the additional tax revenue is greater than the additional expenses, great! From the taxpayers’ perspective, then, there would be no issue. But if those additional expenses exceed the additional taxes generated, you and I, fellow-taxpayer, will be making up the difference through an increased tax rate. While the financial question is very simple, the answer to it is not. The answer will require making several key assumptions. Two of the most crucial assumptions are (1) the number of additional school-aged kids that will live in those new apartments and (2) the additional costs the schools will incur to educate them. 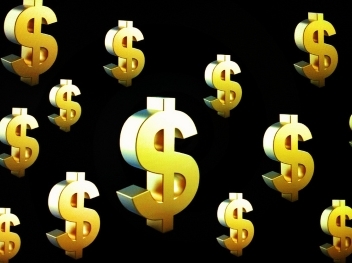 (Remember, the average full cost of each student in the schools is more than $13,000 per year.) Getting exact estimates for these elements is not possible. 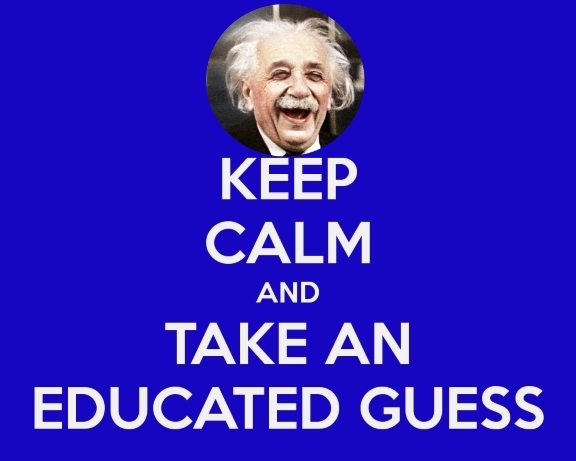 But a prudent approach would be to make a well-researched, educated guess. Perhaps do a best case/worst case analysis. However, throwing up one’s hands and saying “too hard to answer” is not a responsible approach. In lieu of a rigorous financial analysis, we were given stale data, vague assertions suggesting “minimal” impacts and assumptions supplied by the developers. And to make matters worse, we have a Town Council chair who doesn’t appear to care about the cost and tax implications of the apartment projects. Babine, the council chairman, said he has heard estimates that 865 additional apartments could bring 55 to 187 children to town, but he’s not concerned about the impact on local schools [emphasis added]. The issue is not that the school system is growing. The issue is how that growth will be paid for. Frankly, we haven’t seen much evidence of planning for school growth. How can we plan for it if we can’t even quantify its scope and financial impact? The Town’s current plan seems to be for taxpayers to pick up whatever additional costs are not covered by the additional tax revenues from the proposed new projects. As you know, we at LookOutScarborough.com do our darnedest to ferret out real facts and data that help Scarborough residents make informed decisions about matters of critical interest to the community… relevant, well-sourced information you often won’t find elsewhere. And how many additional multi-family units are currently envisioned? You would think that would be an easy question to answer, but you would be wrong. It turns out that you have to be very precise in the way you ask the question. At the Council’s “growth workshop” on December 14, 2016, the “Multi-Family Unit Pipeline” totaled 853 units. About a month later at the January 18, 2017 Council meeting, the total units for “Potential Projects Eligible for the Reserve Pool of the Growth Management Ordinance” was 800 units. And the Portland Press Herald article quoted above reported 865 new units being contemplated. But our review of all available data reveals that the actual total number of new apartment units currently “on the radar” is 925. Now it is true that all of these units may not be built. And the timing of the building could stretch over a couple of years. 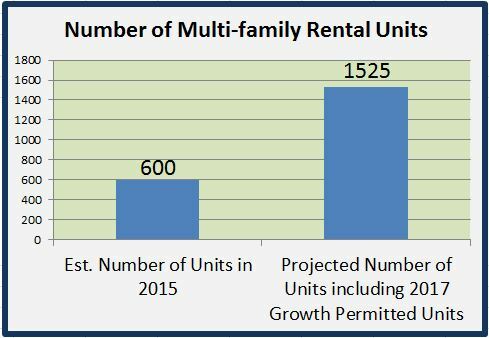 But 925 additional units is a 150% increase in multifamily rental units over the existing base of about 600. By any standard, this is a staggering increase and one that should get careful analysis and – dare we say it – public input. Public opinion? What public opinion? Those of us who try to keep up with the goings-on at Town Hall have seen this movie more than once before. The entire process of approving the massive increase in rental units was on the low-visibility fast-track. This is an all-too-familiar approach for a Town Council that likes to crow about transparency as one of its core values. Recall that the apartment surge proposal first popped up at a Council workshop in mid-December. And then was referred to the Long Range Planning Committee that discussed it at a meeting on January 6 — a meeting that was not listed on the calendar of meetings on the Town website. Finally, the Council gave its first and final approval to the “growth permits” on January 18, despite a number of public comments and emails arguing that the process was moving much too fast for such a significant change in the Town’s residential character and that the tax implications of the decision were not well understood. Once again, we have a situation where public involvement on an important Town decision was minimized. Isn’t it strange that the Town leaders could devote the time and energy to a public survey of our attitude on the fireworks ordinance this past summer, but couldn’t bring themselves to have a full and open discussion of a decision that could have a major financial and quality of life impact on the Town? Even a web survey would have added greatly to the public input on this important question. Notice of the web survey on possible changes to the fireworks ordinance that appeared on the Town’s website this past summer. It kind of makes one wonder… why the big hurry on approving the apartment surge? Here’s just one of the many questions that could reasonably be asked of the School Department… Let’s assume the new apartments result in the high-end estimate of new students that Council Chair Babine has heard – 187 kids. And let’s also assume 60 or so of those kids are clustered in the Middle School grades of 6 to 8, an assumption that’s clearly within the realm of possibility. If these numbers occurred, what would be the impact on the Middle School? For this discussion, let’s ignore the potentially significant additional operating expenses associated with such a population increase and focus just on the Middle School building capacity. The December 15, 2016 update of the schools’ Long Range Facilities Master Plan notes that the Middle School currently “is very overcrowded by any standards for its 714 students” (p. 6). 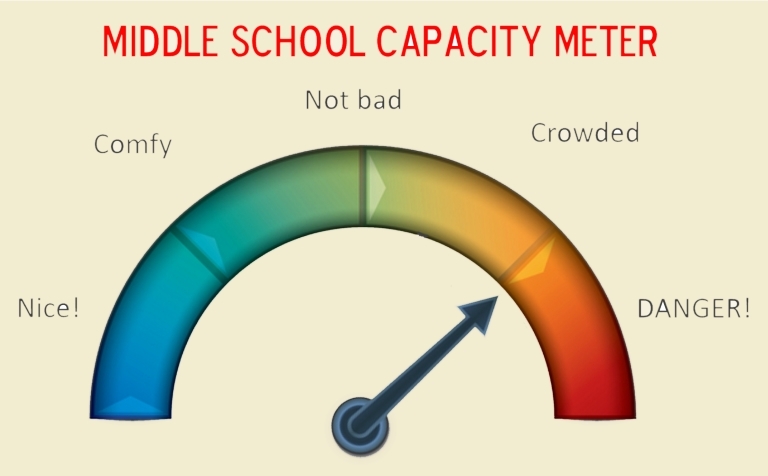 So would the sudden, unexpected enrollment increase create an overcrowding emergency at the Middle School – just the sort of situation the “Growth Ordinance” was designed to avoid? With this magnitude of school capital projects on the horizon, wouldn’t it be prudent to understand the impact of an enrollment surge on the timing and amounts of school capital expenditures? Unfortunately, a majority of Council members don’t share this view. After all, it’s only taxpayers’ money. Make no mistake about it – developing 850 (or 925) apartment units is big business. At a market value of $125,000 each, 850 units equates to about $106 million of real estate development value. This is not just another donut shop coming to town; we’re talking serious bucks here. So there’s a long line of developers, contractors, bankers and lawyers who have a keen financial interest in making these apartment projects happen. So far, it looks like the financial interests of those well-heeled developers are running roughshod over the interests of us poor, beleaguered taxpayers. 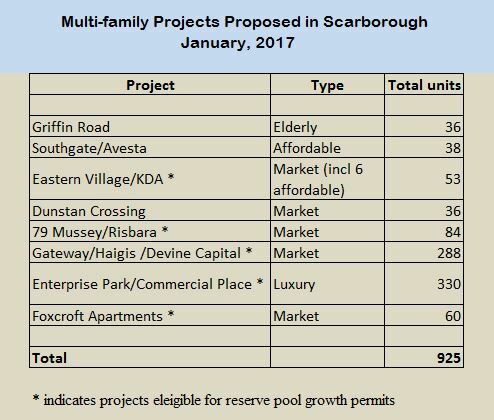 Last Wednesday’s Council action left one huge open question… is there a limit on the number of apartment units that can be built in Scarborough? At this point, we don’t think there is a limit. What will happen when a developer comes along next month with plans for a gleaming 300-unit multi-family apartment complex? And another developer shows up in March with an awesome 400-unit project? Apparently all they have to do is ask the Council for additional growth permits, And won’t the Council have a difficult time rejecting those requests, given its complete lack of guidelines for approving such requests? Of course, all of these requests — including those just approved — should have been evaluated in conjunction with the Town’s Comprehensive Plan. But that plan (from 2006) is currently being updated. So rather than wait for a thoughtful, data-driven plan completed with significant public input, the majority of Council members decided to wing it with respect to how the Town will grow. And this, dear reader, is how in 2017 real estate developers became the driving force in setting Scarborough’s residential character. Well, friends, that’s it for now. We hope to get our version of the 10-year Scarborough capital plan out in the next blog. And another budget season is just starting. It should be an interesting one, especially given the expense increases that are already built into the school budget. We’ll make sure you get the full scoop! This entry was posted in Uncategorized on January 26, 2017 by Site Author. Thank you for your hard work in keeping us informed! Is there anyway we could get a survey going on this? Probably the only hope for a survey is to get one included in the Comprehensive Plan updating process which is underway now (although I confess I don’t know just where in that process we are). Back in the late 1990s, I think, a detailed survey of citizens’ attitudes on many topics was taken as part of the comprehensive planning process. I believe the survey was actually mailed to all households in Town. We need to do whatever we can to make certain that a fair, unbiased survey gets to all households as part of the current Comprehensive Plan process. In the meantime, it wouldn’t hurt to email Town Councilors to let them know that the apartment approval surge happened too fast and without meaningful consideration of what the Town’s residents think about it. Thanks again for staying informed and spreading the word! Obfuscation with a capital O is the motto of this Town Council. I really don’t believe they have the capacity or desire to dig into issues that will impact the citizenry. As a senior on a fixed (and inflation-eroded social security stipend), I am worried that I will be driven out of town by the increased taxes that the School Board’s voracious appetite will demand from me. More apartments = more traffic = more congestion and crumbling roads. I really appreciate the work that the author has put into issues like these but there needs to be full disclosure/transparency at the Town Council. Vote them out is our only answer. Thank you for your comments. I agree that obfuscation seems to be the preferred approach for several of the Council members. (Not all of them… two or three of them actually seem to understand their job is to represent what the Town’s citizens want, not what they as individuals want.) Electing Council members who really will try to do what the residents/taxpayers want is paramount. In the meantime, the more of us who take the few minutes to express our thoughts and concerns to the Council on this and other issues, the better our chance of having them actually listen. In some cases, I admit, it’s a long shot, but we gotta keep trying! Thanks again. I applaud your efforts. Glad somebody is attempting to protect Scarborough. You pose a question that should only require a simple response. Sniff test tells me something is “rotten in Denma- no I mean Scarborough!!! Thanks for your kind words of encouragement! My main goal is to get the full picture of the various issues out there. Too often it seems that Town staff and the Council leadership have decided “what’s best for us” — without giving us all the relevant information or the opportunity to express our opinions in a meaningful way. I appreciate folks like yourself who take the time to become informed about the issues and make your opinions known!